The spacious Presidential Suite features a whirlpool tub and a private bedroom with a king bed and a 42-inch LCD flat-screen television. The separate living room includes a second 42-inch television and all standard amenities. This suite features all amenities of the Presidential Suite, plus a queen-size sleeper sofa and a dining table for two. 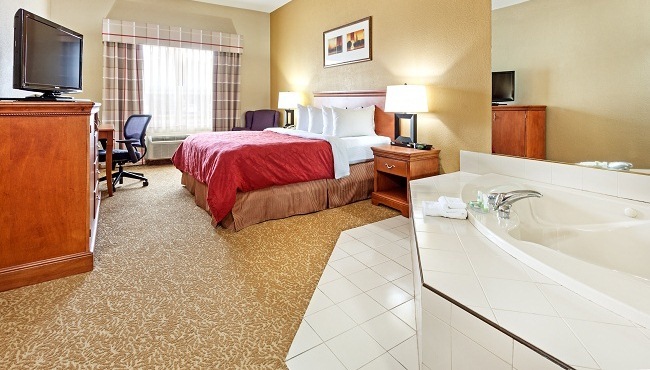 Enjoy a relaxing evening with someone special in this romantic suite that features an in-room whirlpool hot tub for two, a king bed, a 37-inch LCD flat-screen TV and all standard amenities. This suite is non-smoking. The King Suite features a king bed, a queen-size sleeper sofa and all standard amenities. This suite is non-smoking. 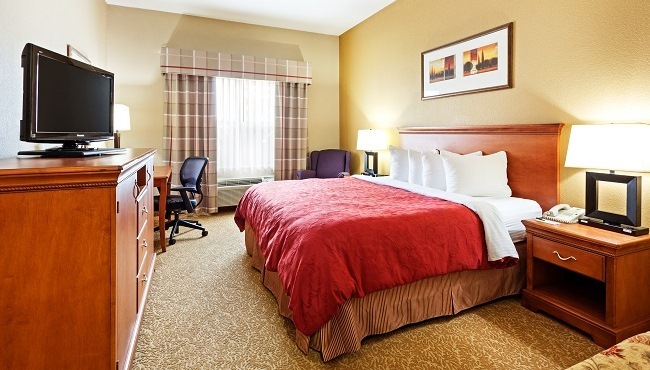 This suite includes your choice of one king or two queen beds in addition to a sleeper sofa, a 37-inch LCD flat-screen TV and all standard amenities. 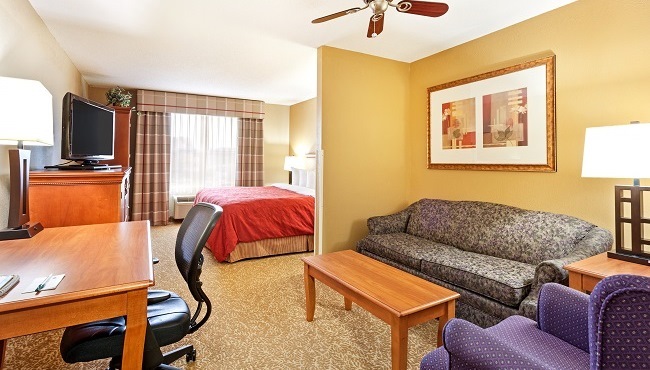 This room is equipped with a kitchenette, making it ideal for longer hotel stays at Fort Stewart. 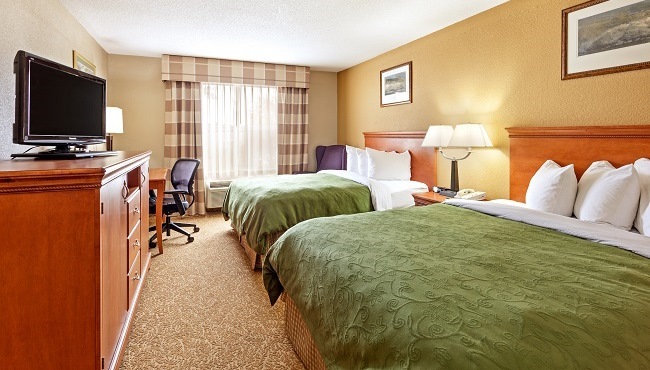 The room includes a king bed and all standard amenities, and is non-smoking. For more details, view the room and suite floor plans.